Seaweed has been used for centuries in beauty and pharmaceutical products. It is sometimes used to treat conditions like metabolic syndrome and osteoarthritis. 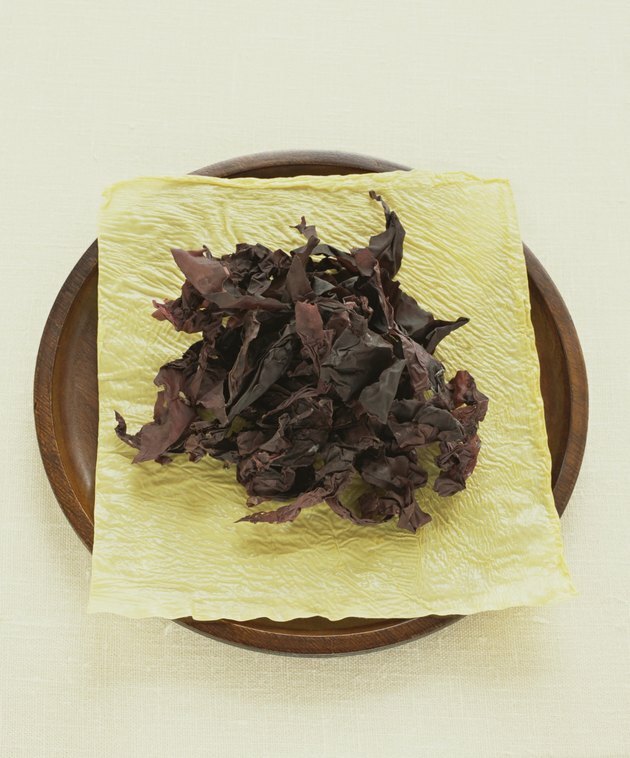 Seaweed is also a popular ingredient in many Asian dishes. Although rare, an allergy to seaweed can develop in some people when seaweed is eaten or touched. Because symptoms can be dangerous, it's essential to understand how a seaweed allergy occurs and how you can treat it. A red, itchy rash can appear within minutes after coming into contact with seaweed, especially poisonous types of seaweed. The rash is typically located in a swimsuit pattern and can develop on the genital area or underneath the breasts. Skin sores, head pain, swollen eyes, and irritation of the throat and nose can also occur. If you eat seaweed and are allergic to it, you may also experience itching in your mouth, abdominal cramps, vomiting, diarrhea or tightening of the throat. Symptoms of a seaweed allergy develop when the immune system mistakes the seaweed as a dangerous material and sends out antibodies to fight it. This reaction can occur after eating the seaweed or as a result of having physical contact with seaweed. When swimming or wading in water where seaweed grows, tiny fragments of the seaweed can get trapped between your swimsuit and skin. When your swimsuit puts pressure on the seaweed, the seaweed's toxins can travel into the skin, which can cause an allergic reaction in some people. You can treat mild allergy symptoms at home. A soothing cream such as calamine lotion can help ease a mild rash and skin inflammation. In addition, over-the-counter hydrocortisone ointment or lotion can help reduce symptoms. A doctor can also prescribe oral steroids if symptoms are severe. If an allergy is the result of direct contact with seaweed, vigorously wash the affected area with water and soap to help remove seaweed toxins from the surface of the skin. Go to the emergency room if you experience chest pain, wheezing, a weak pulse or dizziness. These could be symptoms of anaphylaxis, which is life threatening. In order to prevent allergy symptoms from reoccurring, refrain from eating seaweed or using any products that contain seaweed if you are allergic. Read all ingredients carefully -- seaweed can appear in products you would not normally associate it with such as facial creams and lotions. Do not swim in the ocean if you are allergic to seaweed. If you do swim in the ocean, do not go into water where seaweed blooms are visible or have been reported. National Institute of Allergy and Infectious Diseases: What Is Anaphylaxis? Can I Eat Seaweed if I Have a Seafood Allergy?